Most plantar warts are harmless, but they’re notoriously resistant to over-the-counter treatments and can cause foot pain. Skilled podiatrists Vern Christensen DPM, MPA and Jeffery VanYperen, Jr., DPM offer a variety of effective treatments for plantar warts at Foot Specialists of Mississippi in Amory, Mississippi. To discover the best plantar wart treatment for you, call or book an appointment online today. A plantar wart is a small, noncancerous skin growth that develops on the bottom of your foot. These warts often appear on parts of your foot that make contact with the ground, such as the heel or ball of your foot, but they can grow anywhere on your foot or toes. Plantar warts are caused by infection of the human papillomavirus (HPV). The virus invades your body through tiny, or even invisible, cuts in your skin. You can get a plantar wart by touching, scratching, or coming into contact with skin shed from another wart. What are the symptoms of a plantar wart? Having a single wart or cluster of warts is possible. Most plantar warts are about the size of a pencil eraser, but some may grow larger. Without treatment, plantar warts can grow to over an inch in circumference. When should I see a podiatrist for plantar warts? Wart treatments you find in stores may damage healthy skin and not even get rid of the wart. Dr. Christensen and Dr. VanYperen carefully evaluate your wart to determine the most effective treatment for you. First, Dr. Christensen or Dr. VanYperen thoroughly examine your feet to make sure you have a wart and not another type of skin lesion. Then, they make a personalized treatment plan based on your specific condition. 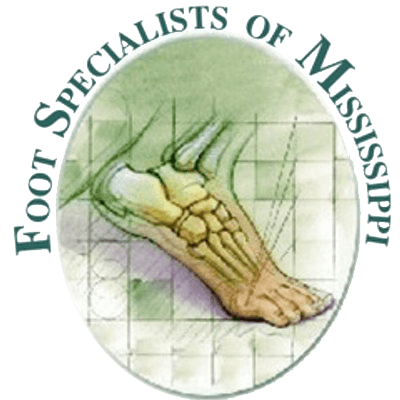 The doctors at Foot Specialists of Mississippi are experts in recommending the best treatment for your unique condition. This ranges from prescription ointments and medications for minor cases to laser cautery for stubborn warts. If you’re frustrated with plantar warts that won’t go away, call Foot Specialists of Mississippi or book an appointment online for effective treatment.